In the last few years more and more of my income was generated because I figured out how to profit from properties with mold damages. Most Property Preservation contractors complain when their clients suggest that they use primer to deal with mold. I can’t say that I don’t agree with them but for me it didn’t just end there. I realized early on that my clients needed me to submit an estimate to address the source of the water intrusion just like a professional basement waterproofing company would give them, regardless if I thought they would approve it or not. Surprisingly, as soon as I started submitting bids to install an “interior basement waterproofing system”, we started getting approvals to complete these types of jobs. The bottom line was that our clients considered it a high priority to repair the cause of water intrusion and hardly anybody else had figured this out. All of my competitors stopped thinking about this type of repair after deciding that their client was stupid for wanting them to “prime over the mold”. I stuck around because I knew they needed to do something about fixing the water intrusion and I also knew that primer wasn’t the right way. I helped these clients figure out an acceptable method and got rewarded handsomely. The first order of business for anyone interested in taking advantage of this is to learn about all the most common causes of water intrusion. You’ll find great books from Amazon and there’s also good videos on Youtube about basement waterproofing and water intrusion. I will be back to write another post in a of couple weeks about how to create an estimate for this type of repair in a way your Property Preservation client will understand so that you can maximize your chance of getting it approved. 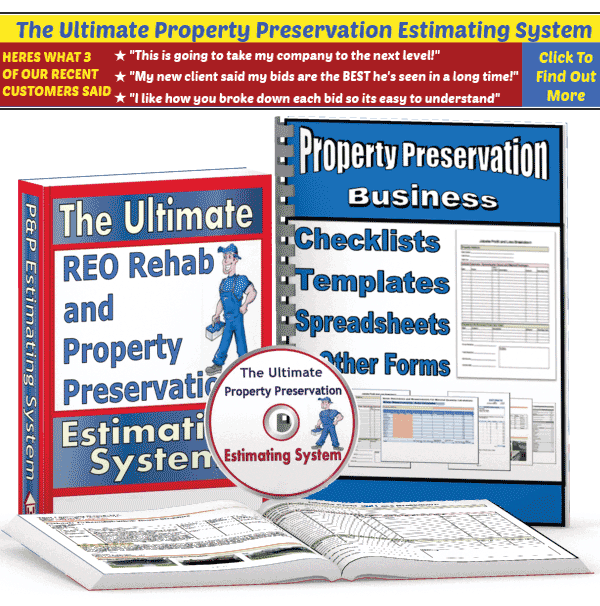 Great piece about how to profit from Property Preservation mold jobs. I have owned a mold company for 10 yrs now. However, I am not a good marketer. My business is just stuck in a rut. Seems I could learn a lot from you. 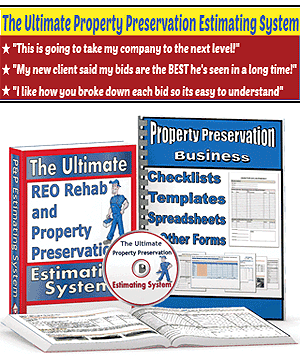 I get some of my jobs from national REO Property Preservation companies. But can I get more? Some sites say call and get on their preferred vendor lists and other sites say don’t bother, they won’t talk to you. The other sites say advertise on vendor sites so ‘they’ can find ‘you’. Which is better do you think? Any other marketing suggestions you can give me? Is it possible for us to chat by email and not so publicly? This is some great advice on how to succeed in the preservation business. By any chance what software do you guys use to keep track of all your work orders? I have heard of a couple and I am just interested to know what others are using?